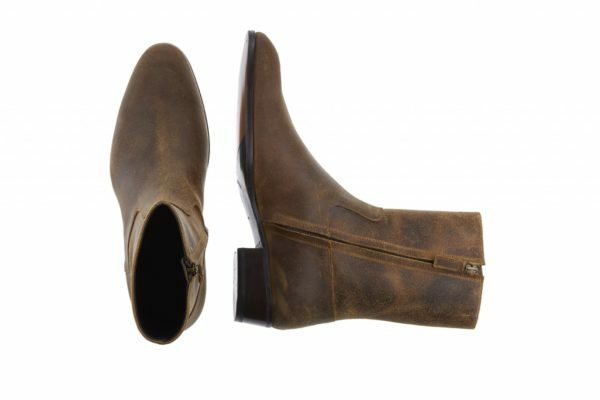 The most “rock’n’roll oriented” boots we ever made in a limited edition in waxy “Cuba” leather for a cooler unique vintage look. 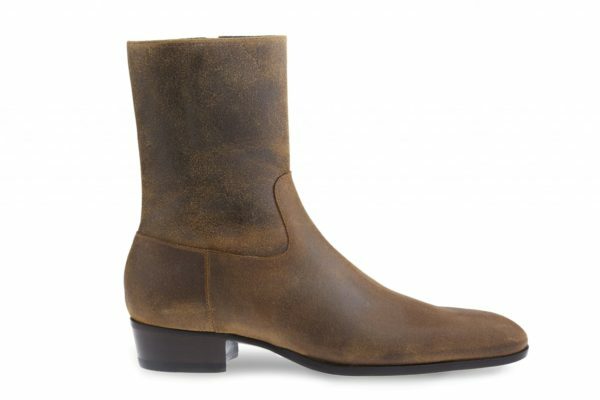 With the new tapered and sleeker last, the slight higher “Cuban” heel, this model represents our version of the real 60’s zippered boots. 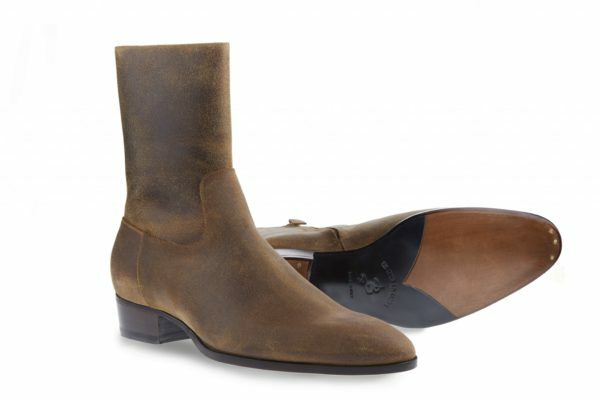 After being very popular among artists and musicians in those years ( Johnny Cash, Bob Dylan, Jimi Hendrix, the Beatles and many others used to wear bespoke versions of them), in the last three decades classic shoemakers totally ignored these boots, and only fashion brands are producing similar models nowadays. 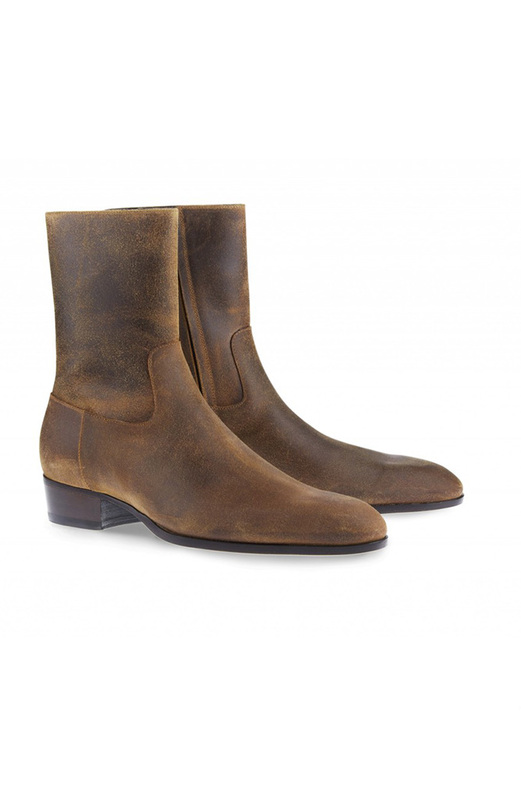 What we wanted to do was to recover that look and feeling, making them with a better quality and with our typical style, in order to give back to these timeless classic boots the greatness they deserve. Not for your white collar friend.